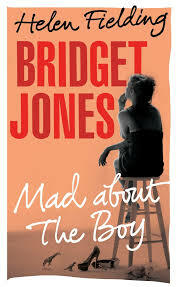 Remember Bridget Jones? She was thirty something, and in her diary we learned that she drank more than she wanted to, she smoked more than she wanted to, she constantly worried about her weight and men and not getting a man and what everyone thought of her. This is the original book. Now, it is somewhat dated. If only because of the whole mobile phone thing – she had a phone, but it was far more common for people to call the landline and the mobile was just for emergencies. Oh I remember those days! With the recent release of the latest of the Bridget Jones books, it was time for a revisit, and it was a delightful stroll down memory lane, of living in London and really knowing what she was all about. I think it’s about time I revisted the film. 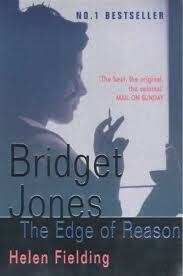 The Edge of Reason followed straight on from the end of Bridget Jones’s Diary and does not quite hold up. Yes, she is the same paranoid and ridiculous character, but I just felt annoyed that she was making the same mistakes. Yes, she made a few different ones, but even they weren’t so different to the original ones. And the whole trip overseas trusting a stranger drug mules stuff (sorry, spoiler alert and all that) was just ridiculous. I reckon. I went into this expecting to not like it. I thought it could be like the second – kind of missing the fun of the first book. 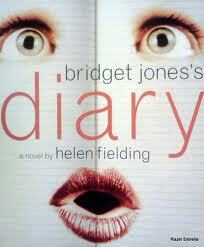 Plus, I’d heard the one thing which I thought was going to be a massive spoiler – Mark Darcy (Bridget’s love) is dead. Was Bridget going to be pining? To be hanging out on her own, lonely and miserable? Thank goodness the book starts several years after Mark Darcy has died. Bridget still mourns, but has reached the point where she is ready to start looking for love again, only now she is fifty-one and has two small children. To my surprise, I really enjoyed this book. I liked the older Bridget, even though I wanted to rip her mobile out of her hands and throw it out the window, and I liked the story. I expect there may be a film, and I can’t guarantee I’ll like that, but I might. I’d probably give it a go.